This is a solution of corporations law assignment help in which we explore on corporation act and Australian employment law. The Corporations Act 1991 was inherited from the legal guidelines of the Corporation’s law of the United Kingdom and has been developed as a single national stature administered by a single national regulatory authority, the Australian Securities and Investments commission. In complaint with the assignment requirement an emphasis shall be given to explore the legal aspects of the scenarios provided in the given questions. Important to highlight that three distinct situations has shall be explored with an intention to understand the legal aspects of the respective situations. Australia’s Commonwealth, state and territory governing authorities are responsible for management of the fisheries section in consultation with the fishing industry, scientists, economic experts and other professionals associated with traditional fishing, recreational fishing and environmental and non-environmental organizations. Important to highlight that overall management of fishing process have the primary aim to ensure proper regeneration of the marine species that is enabled through limiting the catch quantity and also through imposing regulatory guidelines on fishing methods. To ensure sustainable in Australian fisheries the above mentioned approaches has been undertaken. The Australian Fisheries Management authority is being accountable for controlling the fishing activities in the Commonwealth waters and follows the legal guidelines in accordance to the Fisheries Management Act 1991 ("Fisheries", 2016). Learning from the information provided in the case scenario of question 1 it is observed that government restrictions have been imposed on scallop fishing and each individual is subjected to a quota limit. According to the Scallop Fishing and Marketing Act it has been considered as an offense if the scallops caught in the New South Wales waters are to be sold only to the scallop marketing authority. Bob Beech is the concerned scallop fisherman who has been advised by his daughter to form a fishing company in order increase his sales profitability. In this context it is important to mention that this particular suggestion of setting up a fishing company can increase the sales is correct to some extent but a number of stringent factors are also applicable in this case. In this context it is to be highlighted that majority of the scallop catch are exported to Asia while some scallops are sold in the local Australian market and hence considered as a delicacy ("Scallop commercial fishing", 2016). In order to enter into a fishing business at a company level it is highly essential for bob beech to known about the statutory fishing rights. According to Section 31 of the Fisheries Management Act 1991 statutory fishing rights have been developed while Section 17 of this act is applicable for statutory management plans. Statutory fishing rights are granted to Southern Bluefin Tuna fishery, Northern Prawn fishery, Bass Strait Central Zone Scallop fishery, Heard Island and Mc Donald Island fisheries, Southern and Eastern Scale fish and Shark fishery, Eastern and Western Tuna and Billfish fishery and Small Pelagic fishery. However separate rights are also given to these above mentioned fisheries and also the holder to have those rights. The holders to the above mentioned segment have right to take a particular quantity of fish in accordance to quota statutory fishing rights, are entitled to use boat in the fishery. In accordance to the boat statutory fishing rights and can also use a particular quantity of fishing equipments as permissible under the gear statutory fishing rights. In this context Bob Beech should also know that statutory fishing rights can only be nominated to an Australian boat according to Section 4 of the Fisheries Management Act 1991 ("Fishing rights & permits - Australian Fisheries Management Authority (AFMA)", 2016). He should also know that statutory fishing rights can be transferred to another individual or company on a permanent basis or can also be given on lease. For setting up a commercial fishing company it is essential for Bob Beech to acquire the Commonwealth fishing permits that is granted under Section 32 of the Fisheries Management Act 1991 permitting commercial fishing for commonwealth managed species and high seas. Important to note that such permits are granted for a maximum tenure of 5 years however in majority of cases permit is granted for one year at a time and the holders file for a fresh permit on yearly basis. In order to set up a fishing company it is also important for Bob Beech to obtain fish receiver permits that is granted under Section 91 of the Fisheries Management Act 1991. This particular permit is important to have a fish processor and also to wholesale and do retail selling of the fish ("Fishing rights & permits - Australian Fisheries Management Authority (AFMA)", 2016). Hence by following the above mentioned approach bob beech can definitely increase his business profitability compared to the profit obtained from scallop fishing. Hence by holding the permit of statutory fishing rights bob beech can also apply for power to hold statutory fishing rights options to deal with option which is applicable under Section 31J of the Fisheries Management Act 1991 ("FISHERIES MANAGEMENT ACT 1991 - SECT 31JPower of holder of statutory fishing rights option to deal with option", 2016). Referring to the case scenario of question 2 it is observed that New Nirvana Ltd s a company with members of hard rock associated. The concerned company has N /N /A number of wholly subsidiaries that are responsible for organization of the music concert, Nuclear Blasts Sounds Pty Ltd being one of the subsidiary to New Nirvana Ltd was given the responsibility to set up the sound system. The main to be noted in this case that due to the lack of duty of lack and negligence from Nuclear Blasts Sounds Pty Ltd Was evident in one of the N/N concert 5 audiences suffered a permanent hearing loss and no compensation was paid from the Nuclear Blasts Sounds Pty Ltd. In this case the primary claimant is those five individuals who suffered a significant level of physical injury while both New Nirvana Ltd and Nuclear Blasts Sounds Pty Ltd is the defendant in this case. In accordance to the case scenario, New Nirvana Ltd can be held vicariously liable as the act of negligent was caused Nuclear Blasts Sounds Pty Ltd while the task of arrangement of music was delegated to by New Nirvana Ltd for the purpose of their musical concert. Important to note that an act of negligence was clearly evident with respect to the task performed by Nuclear Blasts Sounds Pty Ltd duty of care, breach of duty, proximate cause and actual harm are important to highlight as the major elements of negligence (Giliker, 2010). However in this case as two parties (the New Nirvana Ltd and Nuclear Blasts Sounds Pty Ltd) arte involved in the accident that is caused, contributory negligence from both the parties can be considered. However, the loss caused can be apportioned between the parties with respect to their respective degree of responsibility (Magnus & Boom, 2004). Moreover since the legal implications of vicariously liability is also applicable on New Nirvana Ltd because of the fact that Nuclear Blasts Sounds Pty Ltd is a wholly owned subsidiary to this company. The case of Vaughan versus Taff Vale Railway Co. (1860) can be cited wherein the concerned railway company is held vicariously liable for the damage cause to the woods on the plaintiff’s land ("Vaughan v The Taff Vale Railway Company; 12 May 1860 - swarb.co.uk", 2015). Another case of Tarry versus Ashton (1876) can be reviewed as an example to understand the legal aspects of vicarious liability ("Tarry v Ashton  | Case Summary | Webstroke Law", 2016). New Nirvana Ltd is accountable for the damage caused to the five individuals by its wholly owned subsidiary company because the parent company owned 100% of the company’s outstanding common stock. Hence in this context it is important to highlight that is accordance to the legal framework of Australia, a parent company is identified as a shadow director to its subsidiary and hence the parent company own the obligations and liabilities as a director to the subsidiary company. It is further important to highlight that an act of negligent at the subsidiary level can expose both the parent and subsidiary company directors and therefore it is essential for the directors of a wholly owned subsidiary to remain diligent while execution of their duties (McNett, 2005). The legal aspects of ‘piercing the veil’ are applicable in this respect. The case of David Chandler versus Cape Plc can be cited in this respect (Cox & Hazen, 2012). Another case, James Hardie & Co Pty Ltd versus Hall can be reviewed wherein the parent company was held liable for the acts of a subsidiary that were explicated (Allen, Kraakman, & Subramanian, 2009). Therefore the injured party can claim compensation from New Nirvana Ltd for the permanent hearing loss suffered due to the negligent act of its wholly owned subsidiary company, Nuclear Blasts Sounds Pty Ltd. The Commonwealth Fair Work Act 2009 also known as the FW act is considered as the principal statute accountable for regulation of employment relationships in Australia. This particular Act is applicable for the employers of the corporate organizations in this country and comprise of detailed entitlements and protections for the employees. Important to highlight that failure to comply with the Fair Work Act 2009, is subjected to legal actions ("From Hiring to Firing: a basic guide to the Australian employment law life cycle - Employment and HR - Australia", 2016). Learning from the details provided in the case scenario it is observed that three individuals Simon, Michael and Don are the major subjects of this case and the company concerned is Millennium Pty Ltd. In this case, Don has been identified as the company solicitor appointed for addressing the legal aspects related with land purchase or sales by the said company. The said can be considered as a reflection to termination of employment wherein Michael and Simon approached for termination of Don from the position of company solicitor with an intention to appoint a more capable solicitor. Employment termination was initiated after the minimum employment period of six months was served by Don. He served the company for some years. In consideration to the legal position of Millennium Pty Ltd unfair dismissal, unlawful termination by discrimination and breach of any applicable employment contract is not valid and hence on legal grounds the company has a strong position. However it is important for this organization to incorporate the requisite period of notice and also should clear the due payment in lieu of notice served. The notice period vary in accordance to the length of service as prescribed in the legal guidelines of the Fair Work Act 2009 (Rishworth, 2012). If the service period is more than 5 years the notice period should be 4 weeks. However if the age of the concerned employee is 45 years and above during the service tenure and have served the organization for at least 2 years, the concerned employee is entitled to get 2 weeks of additional notice period. An employer is legally entitled to dismiss an employee for business related issues ort due to the employee’s unsatisfactory performance which is applicable in this case. (K & L Gates, 2013) The primary reason for termination of Don is his unsatisfactory performance and the employer (Michael and Simon) has found a more deserving candidate for the said post. However procedural factors with respect to employment termination are essential to be followed by Millennium Pty Ltd and in this case prior termination Don should be notified with the reason for termination. In case of unsatisfactory performance Millennium Pty Ltd can also give an opportunity to improve. Although Don has proceeded with legal actions against the organization but in this case, Millennium Pty Ltd is legally on strong grounds. However since Don was employed on regular basis as a full time solicitor, he has the right to severance pay upon redundancy. According to the Fair Work Act redundancy is applicable if the employer no longer require the employee’s job, the employer has compiled with redundancy obligations and it would not have been reasonable in the circumstances for the individual to be redeployed within the employer’s enterprise. Important to mention that if the employee has a service period of more than 5 years but less than 6 years, he is entitled for a reverence pay of 10 weeks and if the service period is 10 years he is entitled for a severance pay of 12 weeks however the entitlement for severance pay is reduced after 10 years because at this stage the concern employee is applicable to long service leave ("ICLG: Employment & Labour Law 2016 - Australia - International Comparative Legal Guides", 2016). Referring to the case scenario it can be inferred that the legal position of the said company is strong as Don has not been terminated unfairly. He is entitled for claiming severance pay from Millennium Pty Ltd as he has served the organization for a considerably long time. On the concluding ground it is justified to convey that significant effort has been given to put forward the different legal aspect in relation to corporations act. 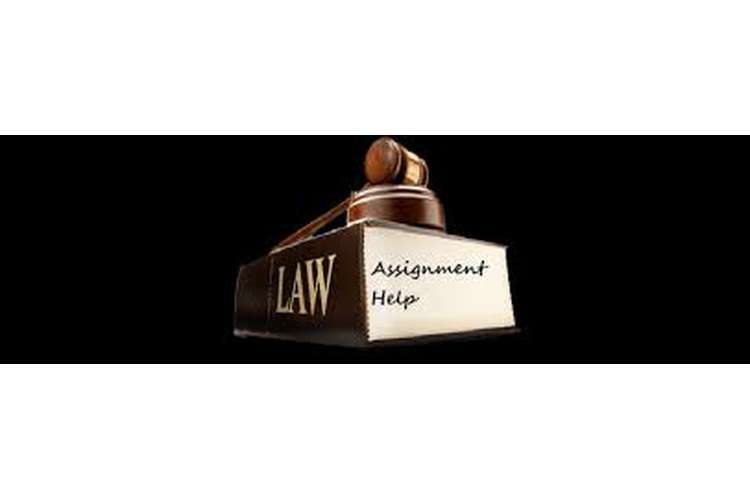 By addressing the given questions of the assignment is has been possible to obtain an in-depth knowledge regarding the legal implications of the provide scenario. Allen, W., Kraakman, R., & Subramanian, G. (2009). Commentaries and cases on the law of business organization. Austin: Wolters Kluwer Law & Business. Cox, J. & Hazen, T. (2012). Corporation law. Chicago, Ill.: American Bar Association, General Pratice, Solo & Small Firm Division.